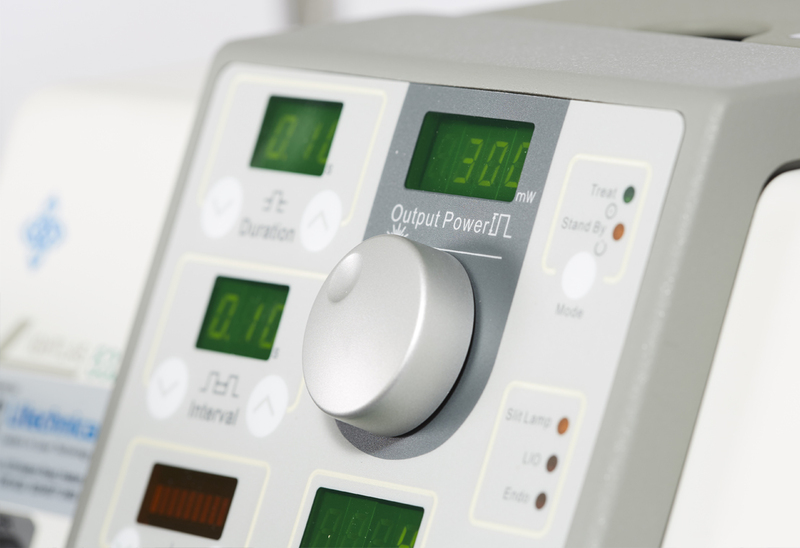 Remote control panel sits on slit-lamp table or can be used for indirect procedures. Powerful, Green photocoagulator; 2.5w or 4w option to prolong laser life. Accepts all accessories - Slit-lamp/Indirect/Endoprobes. Solid engineering, built to handle busy laser clinics. Portable, supplied with hard carry case. True cw, power, giving optimum laser effect. Continuous or rapid repeat (25pps) for retinal painting. The Lightlas™ Green ophthalmic laser represents the very latest in laser design. The “pump source” has been designed as an easy to replace module; significantly reducing downtime. This important benefit negates expensive head replacements. 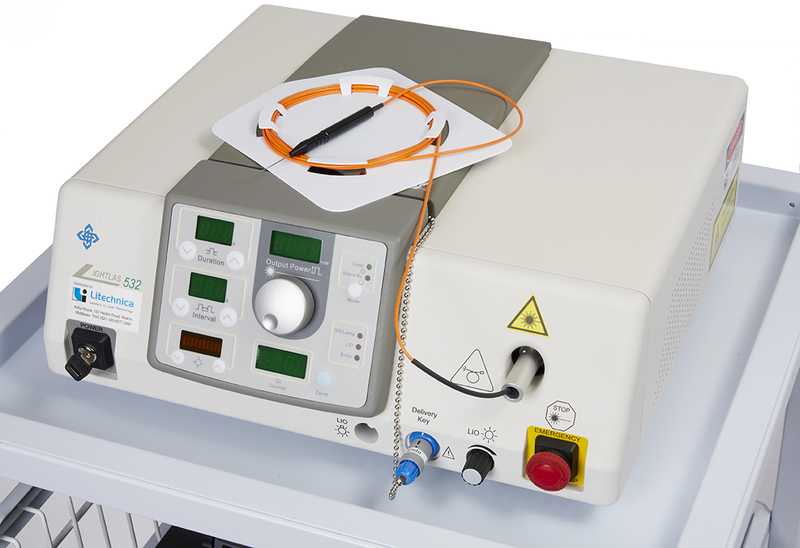 In 532 KTP lasers the “pump source” is the most important component; the heart of the laser. Litechnica pledges to provide not only state of the art technology, but also products that incur minimal long term running costs.